I have bought multiple sheets from different vendors but these are by far the best so far. They come in many colors and wash easy. They are soft and durable. Just received, the color is awesome, I can't wait to wash and put on my bed. Very soft and comfortable right from the first day. Three years later and I still love them. 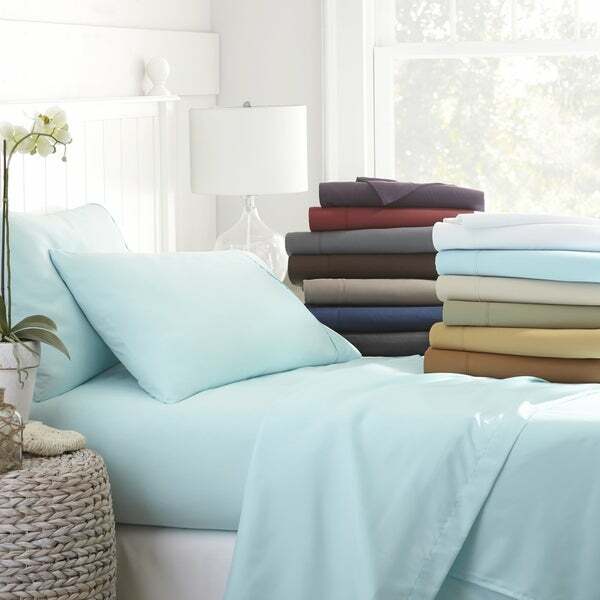 I love the feel of these sheets and they are comfortable in the warm weather of Hawaii. These sheets are super soft! I love them!! I ordered them in white, size California King. The shipping took longer than expected but it was well worth it. They are perfect and the packaging was super cute.. Fit a little loose on the mattress--but the quality and color is as expected for the price.